No one would argue that Google Docs isn't a great tool, but it remains, stubbornly, a Web-only tool. 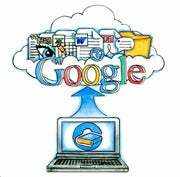 That's why I'm jazzed about GDocsDrive, which solves several of the big hassles associated with Google's cloud-based office suite. This $19.99 utility bridges the gap between your Docs account and your PC, effectively providing a local front end for your documents library. After you sign in (i.e. give GDocsDrive permission to access your account), you'll see everything you've ever created with or stored on Google Docs. GDocsDrive effectively duplicates what you'd see in your Web browser, with options to show only starred items, "owned" items, and so on. But there's one key advantage right from the get-go: with one click, GDocsDrive can display only your documents, presentations, spreadsheets, or drawings. Google Docs proper has no such quick-click filtering option. You also have quick access to features like Open (which immediately opens the selected document in your browser), Download, Upload, Share, and Search -- in other words, everything you can do in your browser, you can do here. However, because GDocsDrive supports drag-and-drop, it's incredibly easy to add local documents to your Docs account or download documents from Docs to your PC. This also adds a cloud-storage element to Google Docs, as you're not limited to documents -- you can also upload photos, videos, and pretty much anything else on your hard drive. And GDocsDrive automatically handles file-format conversion on the fly. Another big perk: You can open and edit Docs files in your local office suite, be it Microsoft Office, Kingsoft Office, or whatever. And when you're done, the changes will immediately get synced up to your Docs account. However, GDocsDrive makes this function a little more complicated than it should be. Although there's an "Open" button in the toolbar, that will only open the selected document in Google Docs proper. If you want to open a document in, say, Word, you must select it, then click File, Open with local app. There's no dedicated button for this option, nor even a right-click context menu. That's really my only complaint with this otherwise handy utility, which, in an ideal world, Google would buy and make available to users free of charge. Because, let's face it, Google Docs needs some kind of local component that serves as a link to its cloud self. For the moment, GDocsDrive is that link.